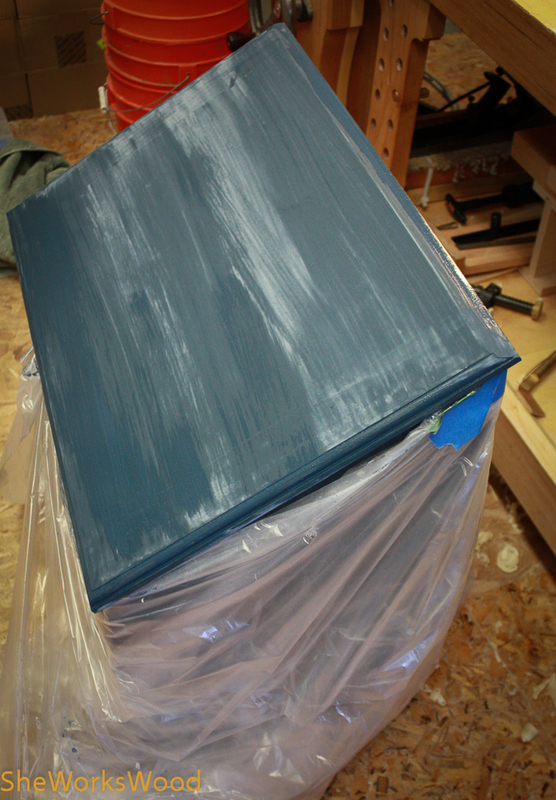 Milk paint drying on top. Image | This entry was posted in Dutch Tool Chest, tool and tagged dutch tool chest, milk paint. Bookmark the permalink. 4 Responses to Soooo close ..
Nice Marilyn! You need a copper accent on the lid. Maybe saw your initials out of thin sheet copper and nail it on? Thanks! I’m actually working on copper accent as I write. I have roves that will allow me to rivet the nails into the lid. I was thinking 4 in the corners. If I ever get a nicer looking logo I might add that later.